Does anybody have Noah’s telephone number? New Jersey has just experienced the wettest winter on record. Since the day records began, we’ve never had this much rain. That fact came home to me yesterday while driving the fifty miles to Montclair in a tremendous downpour. I had just purchased new windshield wipers, but the cap had fallen off the driver’s side blade. Driving on a truck-infested interstate where traffic continued to fly by at above posted speed limits, I realized with horror that at each passing swipe the rubber insert that actually swipes away the moisture was creeping out of the top of the wiper fixture. There it was, just at the top of my field of view, thrashing about like a demon-possessed snake, while my field of view grew smaller and smaller. I was in lane three of an eight-lane highway and couldn’t get over to make adjustments. In a nightmare I envisioned the slippery snake making a terminal bit for freedom and flying over my head as metal scraped glass and I drove blind into whatever lay ahead. Well, the wiper stayed intact long enough to get me to the university. The rain did not abate, however. Even with battered umbrella and longsuffering raincoat, I was soaked below the knees by the time I squished into class. Unfortunately we studied the flood myth a few weeks ago. A few years back William Ryan and Walter Pitman, a couple of geologists, uncovered the fact that the Black Sea had been flooded by the Mediterranean some 7500 years ago. They posited that this sudden increase in sea-level around the Euxine Sea led to the dispersion of a world-wide flood myth. Their book became a best-seller and even Robert Ballard got in on the search for Noah’s homeland. Hearing people talk about New Jersey’s incessant rain, I have no doubt that a major sea change was not necessary for flood stories to begin. As water levels rise, perhaps to the delight of whales and other blubber-laden beasts, the rest of us fear being perpetually covered by overwhelming waves. That is enough to start the story of a flood. Especially when your windshield wipers aren’t working on the Garden State Parkway. Is it damnation or just New Jersey? In discussing various polemics against religion, such as those by Christopher Hitchens and Bill Maher, I have frequently stated that they have a point, but they have ignored the good that religion hath wrought. It is like an Anti-Julius Caesar – the good is oft interred with the bones. Then the news goes and validates their polemic. The arrests yesterday of the leadership of the Christian militia calling themselves the Hutaree (I’m sorry, but it sounds like a happy Boy Scout gathering) highlights once more the danger that religion poses to an already unstable society. I’d not heard of the Hutaree before, and chances are I would never have heard of them had they not plotted an apocalyptic war against the United States’ government that landed them on the front page. Few people are willing to admit just how dangerous apocalyptic thought is, or how deeply rooted it is in American politics. 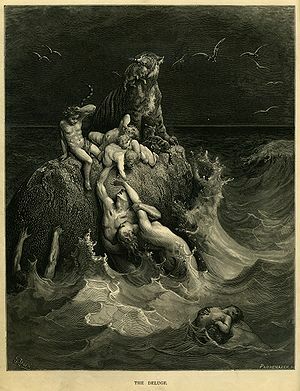 Tracing the roots of this form of belief is not difficult – apocalyptic first appears in the Bible when revelation through prophecy met and mated with Zoroastrianism’s dualism. The offspring of this union was the belief that a new, and better (! ), age was about to dawn. God would usher in an era of peace, but it had to be precipitated by an era of war. Presidents drawn from the Religious Right have held this belief. Some have even eagerly begun wars in hopes that this ancient Afghanistanian religion would lead to the Christian apocalypse. At least the Hutaree were up-front about it: they believed that armed conflict with the government would flush out the Antichrist and usher in the end. Last night in my Prophets class student questions indicated just how much interest there is in apocalyptic. We live in an era when information is all-too-easy to find, and yet many otherwise intelligent people believe that a hidden knowledge about the future is available in the Bible. It is not. For those who have ears to hear, Daniel was written about Antiochus IV Epiphanes. Revelation was written about a Roman emperor (perhaps Nero or Domitian) who threatened nascent Christianity. The apocalyptic battle was already underway. The future they longed for was peace. Modern apocalypticists see all of this as future prediction and believe that they must start the war. All of this makes me feel strangely vindicated. The FBI and other government officials are starting to demonstrate an awareness that to prevent religious extremism you must understand it. Now if only universities would catch on and realize that the study of religion is vital to national security I might end up with a full-time teaching post after all. 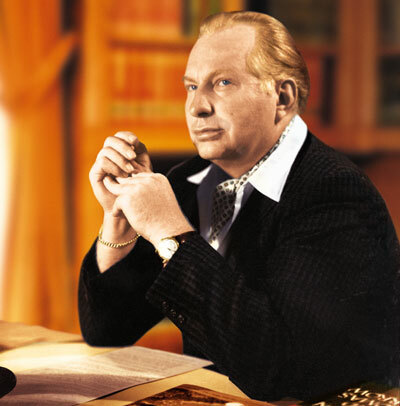 I remember reading L. Ron Hubbard’s science fiction before the Church of Scientology was widely known. Not surprisingly, the religious movement began in New Jersey – a state where anything seems possible (except finding a job or having a stable government). Over the weekend, however, a New Jersey Star-Ledger story noted that some former members of the Church of Scientology are trying to sue their religion for violation of labor laws and unreasonable pay. Lawyers predict such a case cannot win in court, and I personally wonder how such cases of enforced labor differ from other brands of organized religion that require that extra push from their members. Doesn’t the church reserve the right to demand, voluntarily of course, that citizens forfeit their legal rights? When I was young and naïve (instead of being old and naïve, as I am now), I took my first teaching job at Nashotah House. I was not yet thirty. It was, of course, a conflicted situation: a bunch of men living in the Wisconsin woods trying to maintain a monastic presence nestled between the sinful cities of Madison and Milwaukee. (And a few women, always the minority of the student body collective.) One of only two non-clergy on the faculty, I was surprised when, in response to what was an unreasonable administrative demand I was told, “When you signed your contract, you gave up your civil rights!” I’m not a lawyer, but I learned an important legal lesson – never mess with the saintly sorts that make up the church administration. Religion is big business. And religious bodies can afford big lawyers. I feel sorry for the plaintiffs in this legal dispute, but they are in a wide and vast company. Organized religions are human constructs, and human constructs will always favor climbers. Climbers who reach the top will always build fortresses to protect their personal interests. In the church they’ll call it ecclesiastical authority and trace it right back to Jesus handing Peter some metaphorical keys. No, the church is not above the felonies and misdemeanors that secular courts just can’t judge. Potential members should read the contract, including the fine print. And don’t be taken in by the bits that sound like science fiction. With Passover hard upon us, I was a little disturbed to receive a letter on Friday that read, “A heavenly visitor will pass your house…” Having been raised on the sturdy fare of Exodus, I knew that heavenly visitors more often take the form of marauding angels than of jocular Santa Clauses. It seemed an ominous warning. Of course, it came from the Saint Matthew’s Churches that sent me such good wishes of divine promises of prosperity some months back, so I had to assume it was a purely coincidental biblical reference. The folks at Saint Matthew’s Churches are, after all, Bible believers. Perhaps because of that fateful letter, I dreamed, in good Genesis style, a dream two nights ago. I dreamed that I found a dollar coin on the ground at a family outing. A few feet away lay another. And another. Wherever we went in that Morpheus-bewitched town there were silver dollars unclaimed on the ground. My trousers were being dragged down with the weight of the lucre in my pockets. I couldn’t believe my good fortune! Then I awoke, still employed only part-time, still worrying every minute about whether we can meet all the bills. Perhaps the dream was a message? Should the Saint Matthew’s’ folks be right, prosperity was headed my way. Saturday’s powerball jackpot was in the double-digit millions. I very rarely play the lottery, but since state education in New Jersey needs all the help it can get, I offered up a dollar to see if Saint Matthew’s’ prosperity was at hand. No. Not even one number came close. Perhaps there is a secret clause in the prosperity gospel contract. Perhaps those who prosper must hold certain conservative views on social issues. The views, say, my mother holds. Yet she lives in a trailer on a severely circumscribed income. That doesn’t seem to be it either. Last night I awaited another dream. Instead, the next-door neighbors were holding a loud party until 3 a.m. Perhaps celebrating Palm Sunday? Or perhaps that was the heavenly visitor passing over for Passover a couple of days early? Either way, I didn’t sleep well last night knowing that something was just outside my window. “I hate, I despise your festivals, and I do not delight in your solemn assemblies!” The words of some godless communist? A disaffected liberal? An angry atheist? No. These stark words come from Amos, the prophet. Each year when I teach my course on the Hebrew Prophets I am struck by how strident their words are. For Fundamentalists and others who take the Bible literally the words belong to none other than the Big Guy. The Primal Y. G-d. God hates the worship conducted in a land where injustice reigns. Although the basic principles sound correct, it is clear that America cannot really be considered a just society. There are a few too many families without enough to eat, a few too many homeless on the street-corners of our cities, a few too many unemployed. And a few too few filthy rich. There is plenty to go around, and one might naively think prosperity might trickle down. It doesn’t. I’ve always been amazed to see the girth of many prosperity gospelers who inveigh against the unrighteous. A sturdy measuring tape might tell us all we really need to know about righteousness. Bible believers do not believe in the Bible. They accept the message they wish to hear, that God loves those who are rewarded with wealth, but the message of Amos they have little time for. They miss the part where the prophet calls them cows of Bashan that are fat for sacrifice. Yet when they flip out their iconic Bibles the theologically illiterate follow them to the polls. The more they pound their Bibles the more they are beating innocent victims. Be careful before becoming a Bible believer – it is not always a comfortable place to be! “Abuse scandal puts heat on Vatican for more transparency,” runs a headline on the front page of today’s New Jersey Star-Ledger. The reference, of course, is to the recent divulging of alleged abuse that implicates the brother of the Pope. The wording of this particular headline, however, contains the kernel of a very important religious preserve. Like the X-Files, religious structures thrive on secrecy. If the mystery were removed from religion, what would be the motivation to believe? Science provides facts and theories that do not require as much belief as they do acquiescence. Religion, on the other hand, deals with intangibles shrouded in murky darkness. Religions cannot be transparent. “Naked business” models simply do not work when the wealth of the ages is at stake. Few religious believers ever question how or why the leaders of their traditions hoard wealth and valuable objects and real estate. The great medieval European cathedrals, as magnificent as they are, represent loss, pain, and toil on the part of a great many faithful. Those with severe consciences will always drop an offering in the plate, basket, or tray when divine pressure is laid upon them. Even if they really cannot afford it. 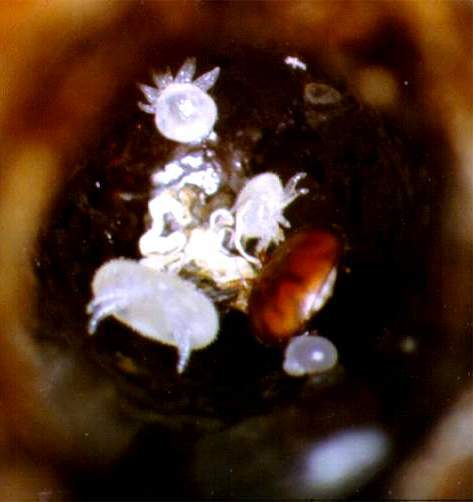 Two mites for the salvation of an eternal soul is a real bargain! No one can truly claim to have comprehended the whole of a religion. After all, many religions have centuries of accumulated lore and tradition that must be passed along in ways opaque to the general issue believer. If glass walls were erected around every seminary and religious training institution, those who have not had the experience of being involved in clergy instruction would find the sight blinding. No, religion will never be transparent. Nor will it ever be extinct. It is simply far too easy to believe what one is told. Carpentry is hard work, as Jesus must have known. The occasions when I head to the basement and chew through wood with an electric saw and nail boards together through pre-drilled pilot holes always leave me feeling like I’ve burned a few calories. Not to mention walking everywhere. No Hondas, Volkswagens, or Smart Cars in those days. A guy could sure build up an appetite. 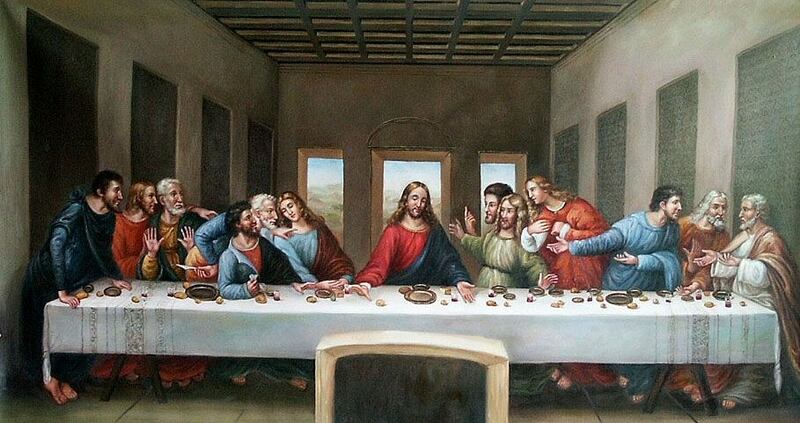 My wife pointed me to Newsweek’s blog this week, where a story about the portion sizes portrayed in paintings of the last supper over the past millennium is posted. The conclusion drawn: the food servings have continued to escalate in size as food production and acquisition have become easier. This is not so surprising, given that what people value is what they portray in art. As I’ve mentioned before, Stephen Prothero, in his book American Jesus, demonstrates that portraits of Jesus reflect the self-perception of the society in which they are produced. Few attempt to make a life-like representation, largely because no one knows what Jesus might have looked like. 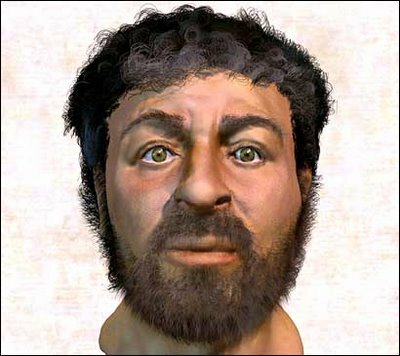 A few years back, Richard Neave, a retired medical artist from the University of Manchester reconstructed, based on forensic research, what he believes Jesus likely looked like. The portrait is not handsome, and to be fair, not based on the actual skull of Jesus which has been missing for a couple of millennia. I used to ask my students in Intro to Christianity what difference it would make if Jesus was not good-looking. They tended to react strongly – particularly those of Christian disposition – there was an inherent blasphemy in suggesting that Jesus might not have been drop-dead handsome. Now, if we gently push his chair back into that fateful table one more time, we might wonder how an overweight Jesus might appeal to those who struggle with weight issues. More of him to go around, as the saying goes. I’ve viewed much religious art in my time, but I’ve never seen a love-handled Jesus, let alone a chunky savior. And perhaps that is the biggest miracle of all, given that he eats more each passing year.